Jill Marquez, Realtor, "Your Agent of Choice"
SERVICE FIRST...... Jill is a MultiMillion Dollar Producer, Top Seller and Top Lister in the River City area. You will find her to be an enthusiastic, concerned, and honest professional with a genuine commitment to providing unsurpassed Real Estate Service. She is committed to going the extra mile to ensure that all of your needs are successfully met in a professional and honest manner. Her experience and knowledge as a Real Estate Professional includes marketing, financing, and both buyer and seller representation. She pays attention to details by providing you with the assurance of a complete, professional approach necessary in today's market. The key to Jill's success is understanding and meeting the needs of her clients. 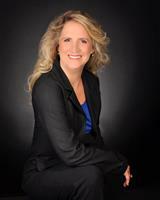 Jill has been working in Real Estate for many years in the River City area. Prior to Real Estate, she worked in Radio Broadcasting for 16 years where she developed skills in announcing, production, sales and public relations. She has used the skills and knowledge she obtained from her years in radio, working with community leaders, local business partners and her vast audience to help her build her Real Estate career. As a local area expert with knowledge of the community, her objective is to work diligently to assist her clients in meeting their real estate goals. Jill is a native of south Florida and has lived only six years out of the state in beautiful Gatlinburg, TN. As a Floridian, she understands and appreciates the desire to live near the ocean and to bask in the warm weather we enjoy here on the First Coast. She is married, has three daughters and six adorable granddaughters. She enjoys photography, horseback riding, boating, diving, walking on the beach and riding the Harley Davidson with her husband. Jill also enjoys spending her free time with family and friends, working with teens and being an active volunteer in the community. Please feel free to browse through this site to explore Duval and St. Johns County communities of Ponte Vedra, Ponte Vedra Beach, Jacksonville, Jacksonville Beach, Atlantic Beach, Neptune Beach and Fernandina. This comprehensive online tool offers direct access to the latest properties for sale in your area. "If you are considering buying or selling a home or would just like to have additional information about real estate in your area, please don't hesitate to call or e-mail me. You can also visit me at my other websites at WWW.JACKSONVILLEPROPERTIES.LISTINGBOOK.COM, or WWW.JILLMARQUEZ@WATSONREALTYCORP.COM - please consider them as your on line source for local real estate information, and return often for the latest property listing updates." " Thanks for visiting my on line real estate source. Please bookmark this site for future reference, and enjoy!"